Ask a brand new mum how she’s doing, and you’ll most likely get the stock response, “Fine! Just a little bit tired”, accompanied by the sort of winsome smile that Princess Diana pretty much trademarked (head tilt optional). Now, for all the stoicism, there is a good chance that what she’s actually like to say is that she’s completely petrified, ecstatically happy, overwhelmed, head-over-heels in love, full of energy one minute and exhausted far beyond what was previously thought humanly possible the next. The hormone-charged period just after the birth of a baby can be a random lucky dip of wildly conflicting emotions, and – although some Hong Kong mums stick to traditional confinement periods to help them recover from birth – for many of us a month in bed being waited on hand and foot simply isn’t an option. 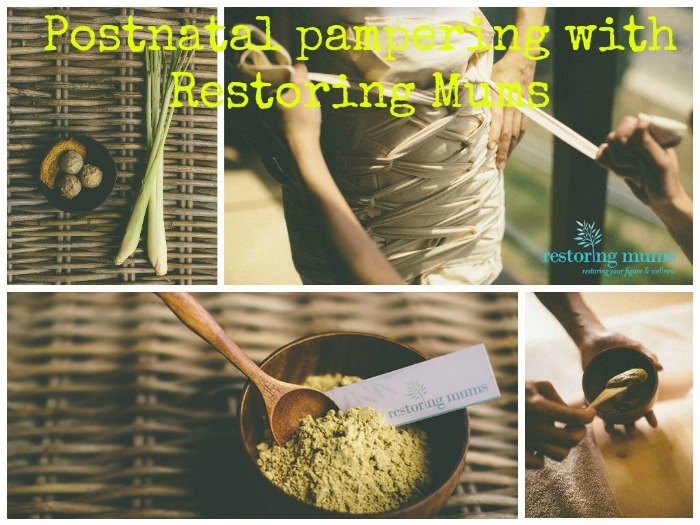 So when Karen Loke of Restoring Mums reached out to me with an invitation to trial five days of traditional Jamu massage and abdominal binding at home, I couldn’t hit the reply button quickly enough. At four weeks postpartum, I’d have happily taken up the offer of just an hour each day alone in a darkened room, but if you’re going to add in a massage from the comfort of my own bed too, who am I to refuse?! 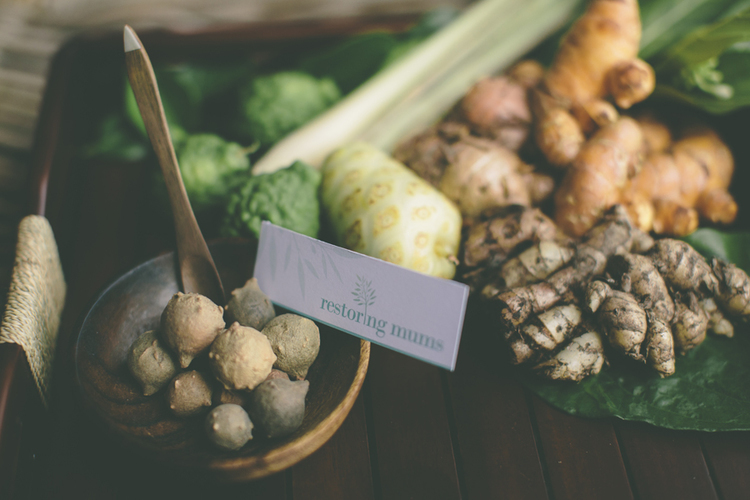 The founding principle of Restoring Mums is a simple one. New mums spend so much time looking after their baby that they rarely have time to look after themselves. The services on offer aim to redress the balance, enabling mums to better take care of themselves and their families, (which makes sense to me as I’m rarely at my most patient and nurturing when totally frazzled). 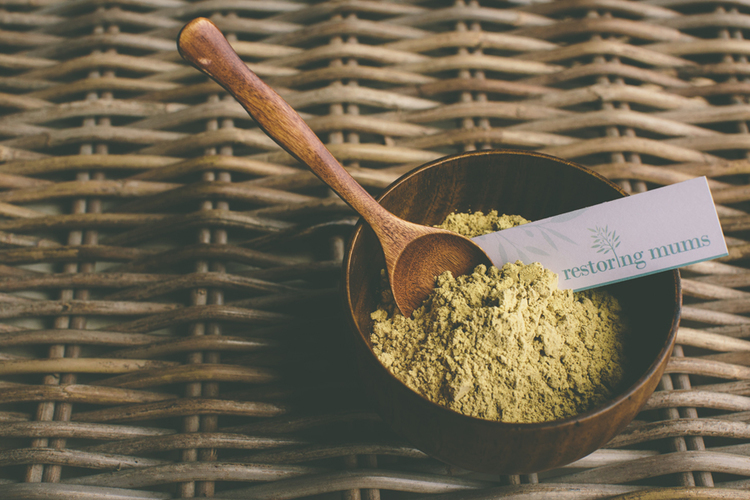 Reading up, it turns out that Jamu is a traditional Indonesian treatment that uses herbal oils (Karen blends her own using imported 100% organic ingredients), in combination with thorough massage to help the body to heal itself naturally. The final piece of the puzzle is the abdominal binding. Hang on a minute, abdominal binding? Yep, as “woo” as it sounds, this one is rooted in science, as many doctors recommend the use of a binder or corset to help support the body after delivery – particularly after a c-section. As you still have a fair amount of ligament-loosening hormone relaxin hanging around in your system after you give birth, it kind of makes sense that you can make this work to your advantage by wrapping the bits that have spread during pregnancy and encouraging them to migrate back to their normal spots. So, bracing myself for an uncomfortably mummified experience (albeit one that I hoped would make me four dress sizes smaller within the week! ), I welcomed one of Restoring Mum’s therapists to my place for day one of my rehabilitation out of my pyjamas and back into society. With nearly a decade of experience at one of Hong Kong’s most famous hotel spas pampering the rich, the titled and the extremely famous (I am sworn to secrecy), she is a bone fide massage expert. Her explanation of the treatment was detailed, patiently answering my incessant questions whilst – very gently – suggesting that I try to relax and switch off for a while. The massage was bone-meltingly good, combining deep tissue and lymphatic techniques to help shift water retention and loosen all the knots that accumulate when you’re toting a tiny human around all day. In addition to the body treatment, the stomach massage is said to increase circulation and help to reduce bloating and after an hour of firm-but-gentle pummelling all over, I was so relaxed that I could barely pour myself off the bed for the next step – binding. Days two, three and four followed the same pattern; a deep tissue massage that really helped to soothe persistent sore spots left over from pregnancy and late night breastfeeding at weird angles, leaving me well rested but also more energetic for the remainder of the day; a stomach massage and mask and then wrapping. As the week went on, I actually found myself looking forward to the binding almost as much as the massage, such was the improvement in my posture. Although I found the stomach massage to be a little uncomfortable during the first session – probably due to the fact that my abdominal muscles were quite sore anyway – this was never actually painful and the sensation eased considerably as the week went on. At the fifth and final session (and at my request as I knew my muscles then had time to recover), my therapist really went to town on my back with a firm massage that left me feeling like I’d had an intense workout; sore, but in a good way. The final wrap was also a little tighter than before and then my five-day stint of postnatal pampering (and a bedroom that smelled wonderfully like a spa) was done. So what’s the verdict? Am I miraculously lithe and lovely in just five days without a stroke of exercise? No, of course not, and Karen and her team are all at pains to be make it very clear what you can – and can’t – realistically expect from your treatment. However, there was a noticeable difference in my shape and size at the start and end of the week, with a tape measure verifying that I’d taken 3 cm off my hips and 4.5 cm from my waist. Karen actually got me to pose for “before” and “after” shots to record my progress, and these photos make it very clear what a difference there is post-binding. (I deliberated for a while about adding these pics to this post, but came to the conclusion that a photo of me in my underwear at four weeks postpartum crosses the line into TMI territory. Sometimes NOT sharing is truly caring, folks). The other important factor here is the positive effect that a bit of indulgent “me-time” has on your sense of wellbeing as a new mum. It’s very easy to get burnt out when you have small kids and particularly with Baby T-T being my second child, I find the time-honoured advice to sleep when the baby sleeps virtually impossible to follow with an active nearly-4 year old to entertain. I feel like this type of treatment, where you are forced to relax, even if just for an hour or so, is a valuable weapon in your “not becoming a total zombie” armoury. The loss of a few surplus centimetres also made me feel a bit less like a badly-poured jelly in a too-small mould when I tried on my summer clothes, which in turn helped to make me feel a little less grim on no sleep. The downside? Like many at-home pampering services the Restoring Mums experience provides doesn’t come cheap, but per session it’s pretty comparable with many luxury spa days and, considering that everything comes right to you and you don’t have to worry about disturbing other patrons with a wailing baby, wins over on convenience. The treatments are all tailor-made to suit your needs and focus on any specific concerns, and Karen and her team are all postnatal massage experts, meaning you’re in safe hands. So if you’re after a little postnatal TLC that has the added benefit of trimming you down and forcing you to you relax, then have a chat with Restoring Mums. This treatment was by invitation: thanks to Restoring Mums for making this mum feel a little more human! Hooray – glad you went for it too. Isn’t it absolutely recharging? I totally loved it and am glad I went for it too!